Fat Burning Fingerprint Review: Gary Watson’s Breakthrough? Why do some of us struggle to lose weight, even when we do everything “right”? Nonsense. Research has shown that individuals metabolize certain foods differently. So one diet strategy might work for some people, but fail miserably for others. Gary Watson realizes this. He's been in the trenches helping people lose their “impossible” weight for 30 years now. And he's now giving away everything he knows in his Fat Burning Fingerprint program. If that's you, pay close attention to our Fat Burning Fingerprint review so you can decide if it's what you're looking for. Gary Watson is the creator of Fat Burning Fingerprint. Like we mentioned before, he's had a long career helping people shed their extra weight. He is a certified strength and conditioning specialist, and a graduate of the University of Illinois at Urbana-Champagne. It's not just Mr. Watson's own expertise that went into the Fat Burning Fingerprint program, however. A registered dietitian named Jessica Ann Dogert is a contributor, and he lists a handful of other physicians and researchers whose work he studied to come up with this program. 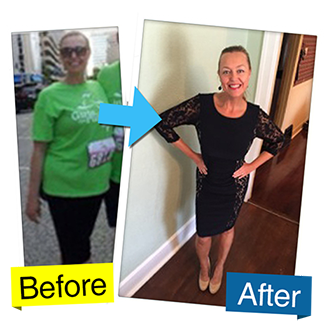 As you'll see in his presentation, Gary helped both of his siblings lose significant amounts of weight using the exact principles he's been teaching for years. The strategies outlined in Fat Burning Fingerprint is largely based on the concept of “metabolic typing“. What is metabolic typing? Let's look at the original research. 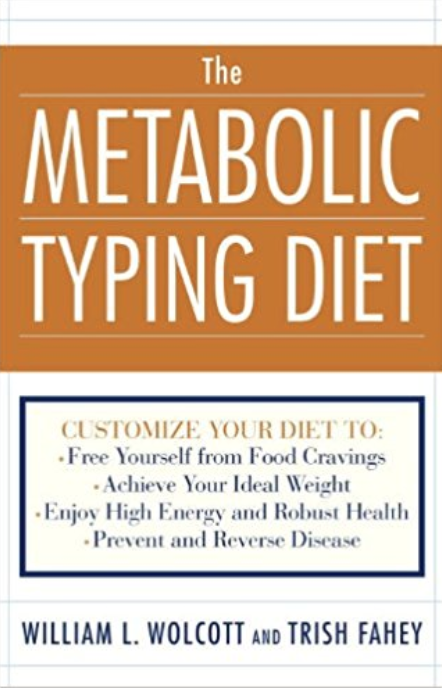 Fat Burning Fingerprint cites a book titled Metabolic Typing: Customize Your Diet To: Free Yourself from Food Cravings by William Wolcott and Trish Fahey. Gary Watson's program is different than Wolcott and Fahey's original work, but it appears to be inspired by their philosophy. In short, Wolcott and Fahey said that the reason diets work differently for individuals is based on their metabolic type. Your metabolic type comes down to whether you're a “fast oxidizer” or a slow oxidizer. According to proponents of the metabolic typing diet, some people are fast oxidizers, who can rapidly convert food into energy. In order to balance their systems, fast oxidizers need to eat heavier proteins and fats that burn slowly. In contrast, slow oxidizers convert food into energy at a slow rate. In order to balance their systems, proponents recommended that they eat mainly carbohydrates rather than protein and fat. Now, there is some disagreement about whether metabolic typing works. Ms. Wong notes that critics say the diet isn't balanced enough. But many natural health experts seem to endorse it. As Yuri says, metabolic typing really comes down to paying attention to your body and how it responds to different things. And Fat Burning Fingerprint gives you a self-assessment to help determine your own metabolic type. The first thing you'll do is the self-assessment. You'll complete a questionnaire that mostly asks about how certain foods make you feel, and what foods you typically crave. After you've figured out what type of oxidizer you are, you'll see which foods you ought to eat, and in what ratios. You'll either be a “carbo” type, a “protein” type, or a “mixed” metabolic type. To give you an idea: a “carbo” type should be eating a diet of around 60% carbohydrates, whereas a “protein” type will be down around 30%. A big difference. Your metabolic type will not only tell you which foods to eat (and in what ratios), it will also tell you when to eat. Specifically, there is a window of time during the day when you should begin eating and when you should stop. If you are outside of your eating window you are supposed to stick to zero calorie liquids, such as water, tea or coffee. Note: This part is very important. The Fat Burning Fingerprint guide talks about a fascinating study that demonstrates how when you eat food can make all the difference when you're trying to sculpt a new body. In fact, eating too frequently can be downright dangerous to your health, according to that study. The subjects who didn't pay attention to when they ate developed a “metabolic glitch” that leads to liver damage. You won't have a rigid minute-by-minute eating plan to follow. Rather, you'll follow general guidelines depending on your metabolic type. However you will get to see a week-long sample eating plan to give you an idea of how to plan your meals. Fat Burning Fingerprint requires a one-time payment that gives you immediate access to the main manual and supplementary materials. Even though we mostly liked it, there are a few issues. In this review we covered what we think are the most important things you should know about Fat Burning Fingerprint. When it comes to achieving a healthy body, exercising and watching what you eat go a long way. But, some of us do those things and still struggle with extra weight. If that's you, Fat Burning Fingerprint may be worth your time. Especially if you've tried more traditional diets and didn't see results. You'll learn more about how your own body responds to different foods, and that can make an enormous difference.